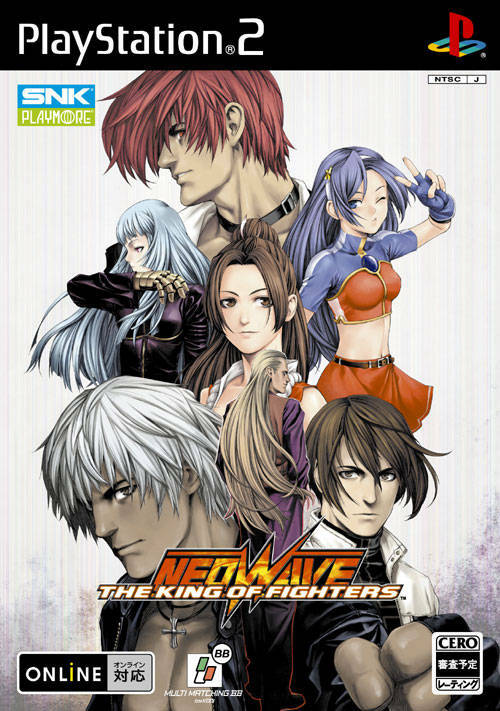 REVIEW: SNK Playmore's first Atomiswave.net (AW-NET) fighting game, KOF: Neowave reverts back to the classic 3-on-3 gameplay, neglecting the newest gameplay features such as the tag system and strikers. 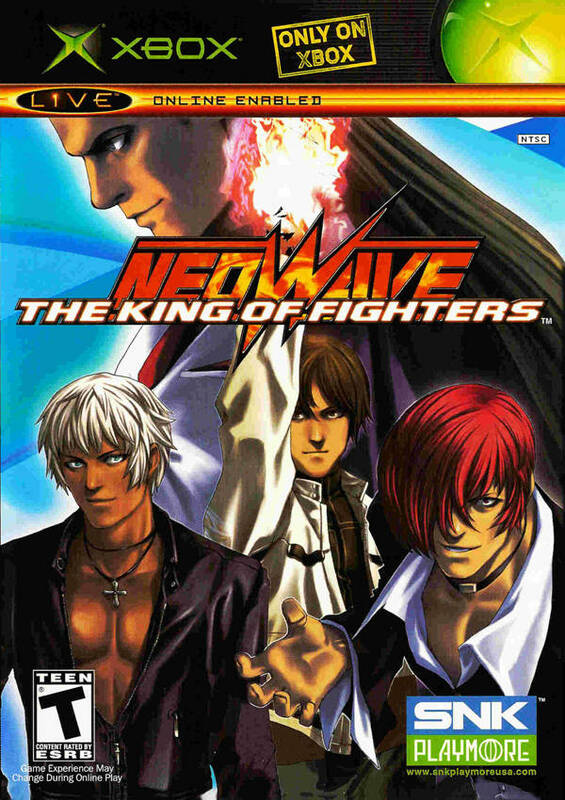 Like KOF '98 and KOF 2002, Neowave has no storyline, but is instead a "Dream Match" bringing together numerous characters from past installments. 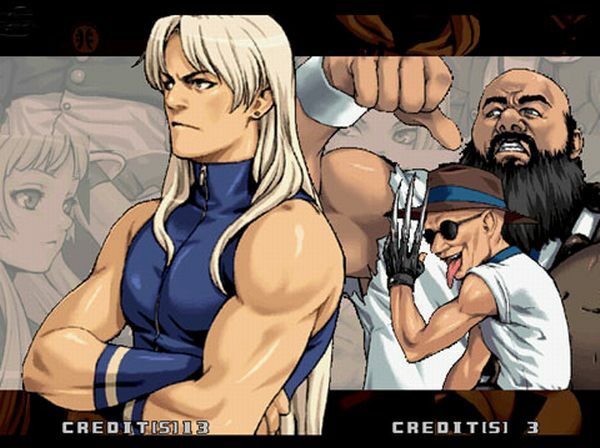 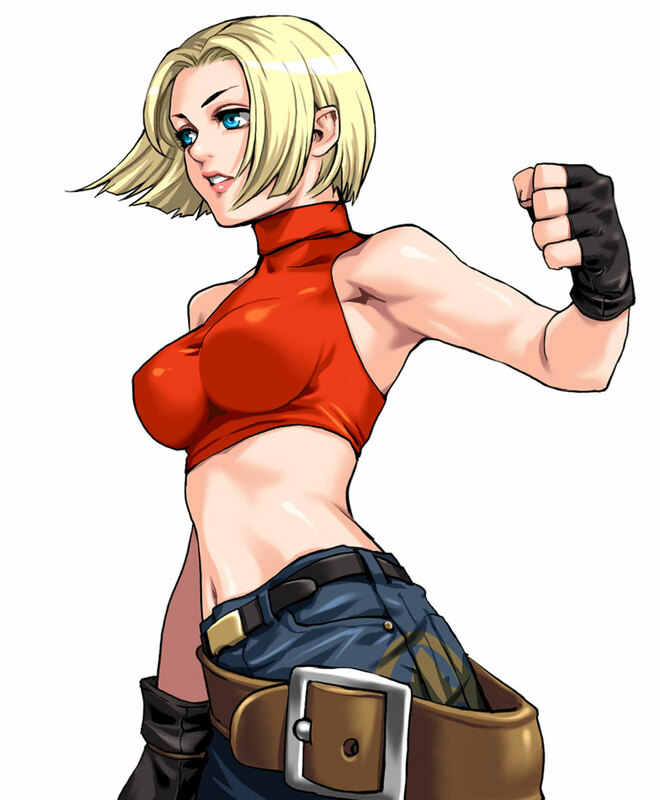 One of the sexiest KOF selection screens to date. 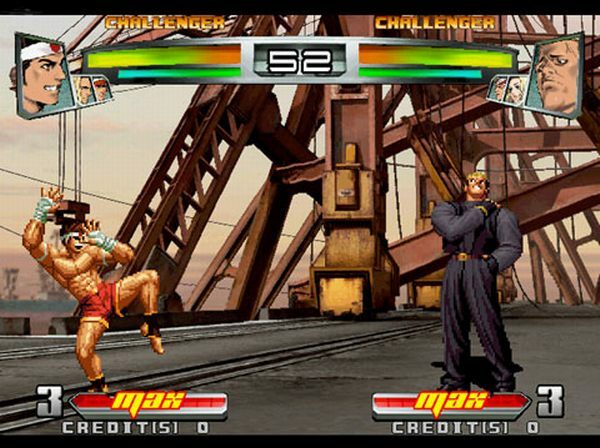 In addition to the standard 4-button layout, a fifth command button has been added, which activates the new "Heat Mode" (sacrificing health for attack power). 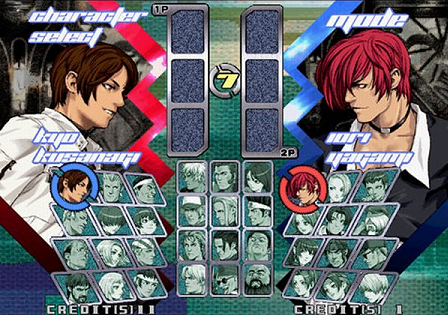 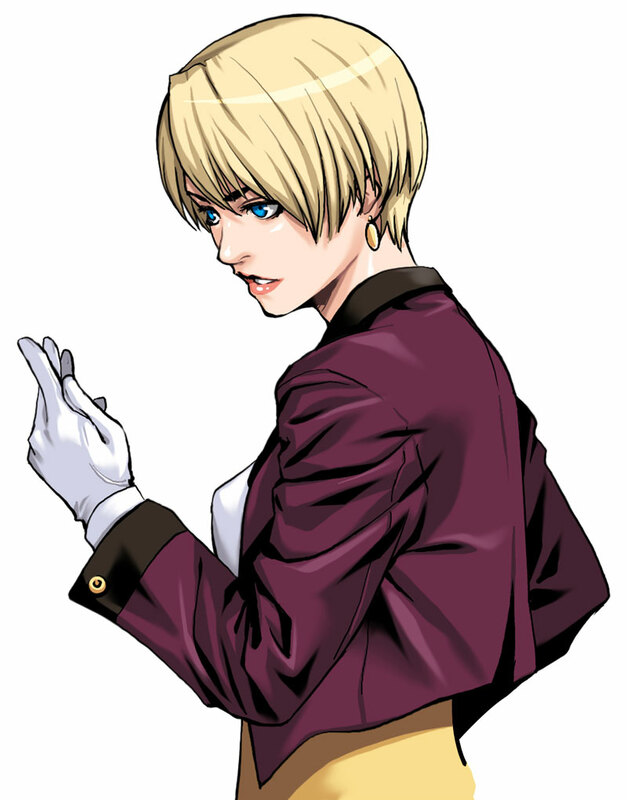 Players can select their own playing style similar to (KOF '97 and KOF '98) from three different styles (Super Cancel Mode, Guard Break Mode, and MAX2 mode). 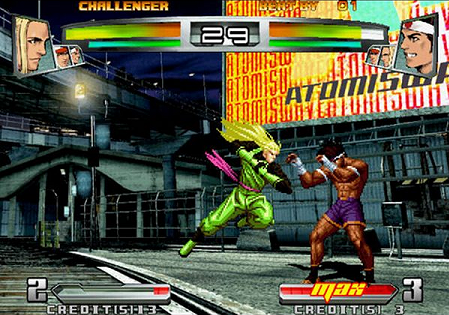 This effects the techniques available to the player and the length of their Power Gauge. 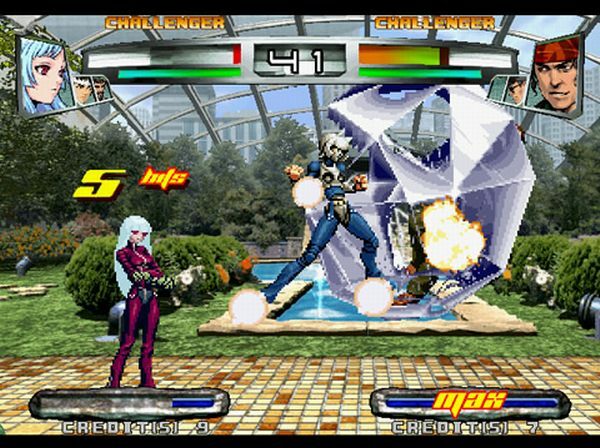 KOF looks pretty sharp on Sammy's Atomiswave hardware... Neowave features some cool fully 3D backgrounds, less "jaggy" character sprites, and better quality hit effects. 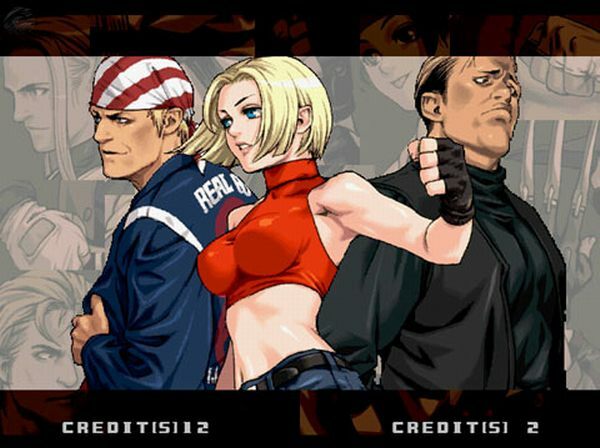 The character roster is great this time around with a good mix of old and new faces. 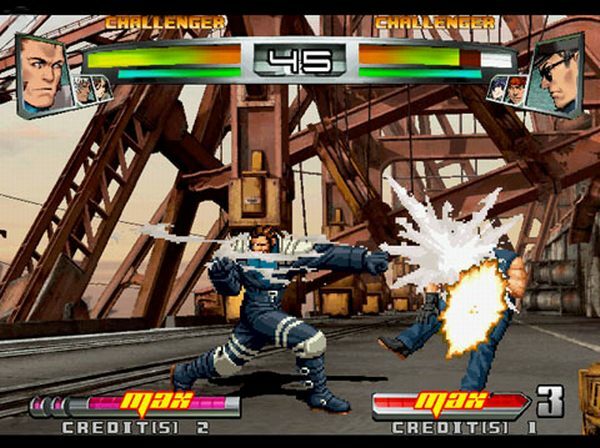 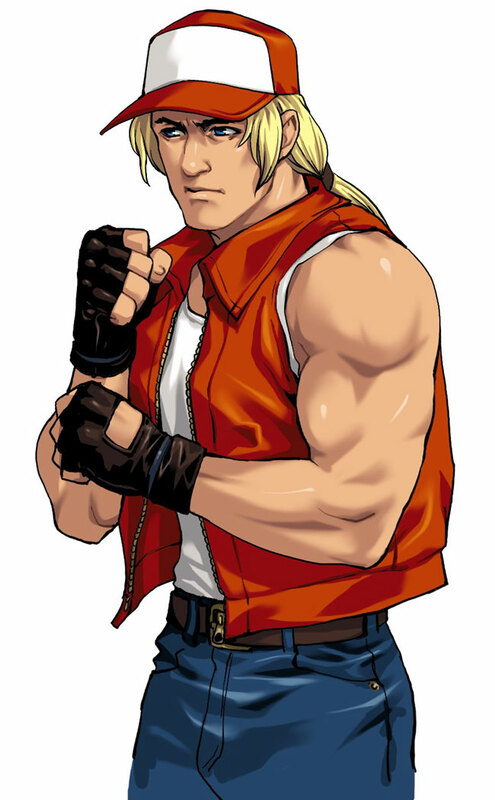 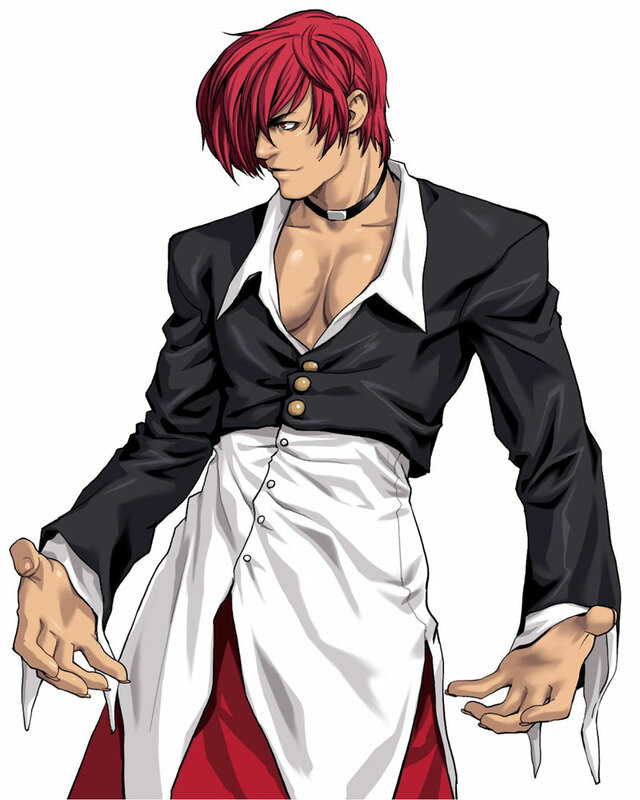 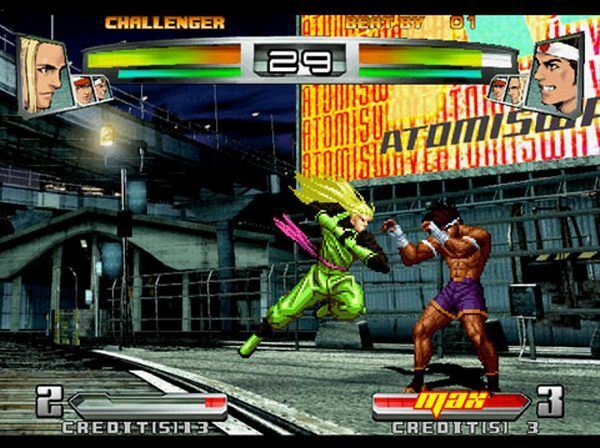 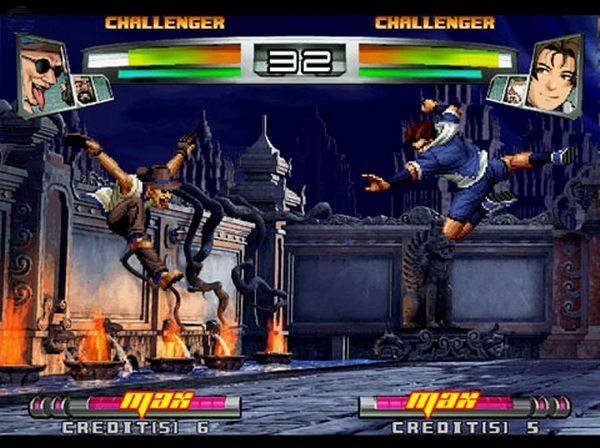 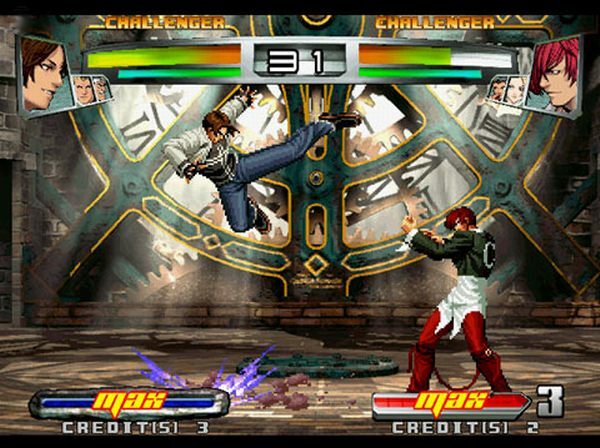 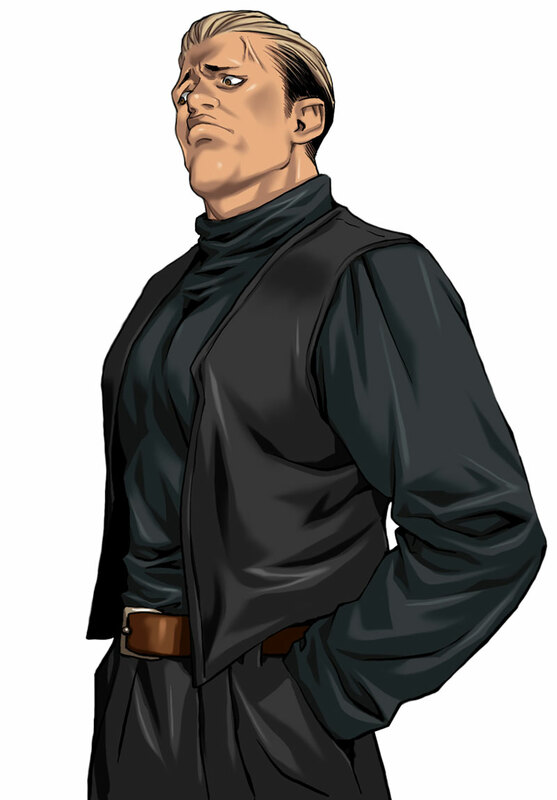 The home version features bonus characters such as: Kusanagi (clone), Seth, and Omega Rugal. 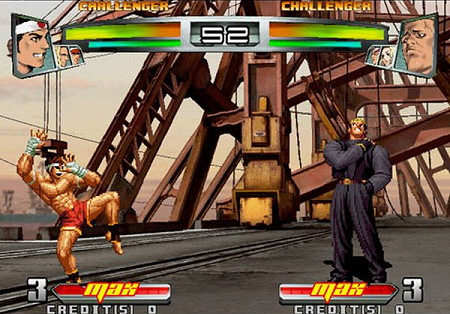 C'mon now... you guys can't taunt each other to death. 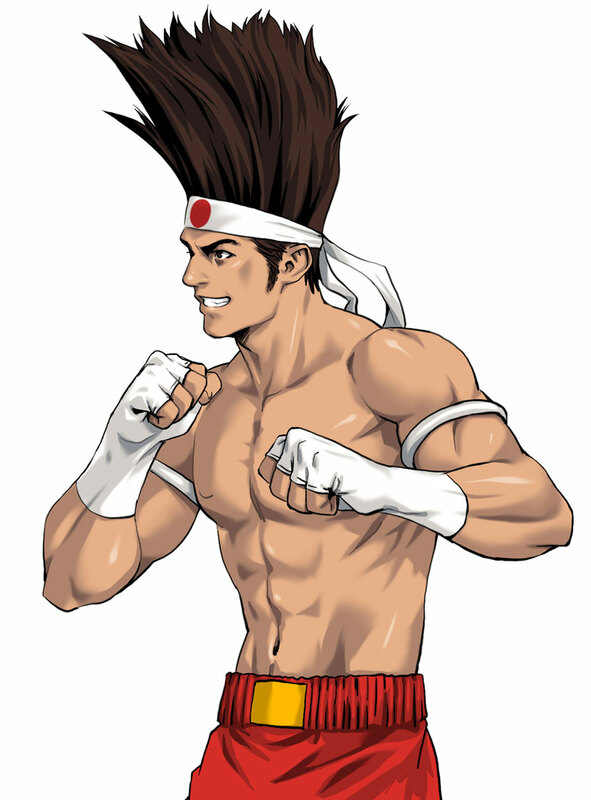 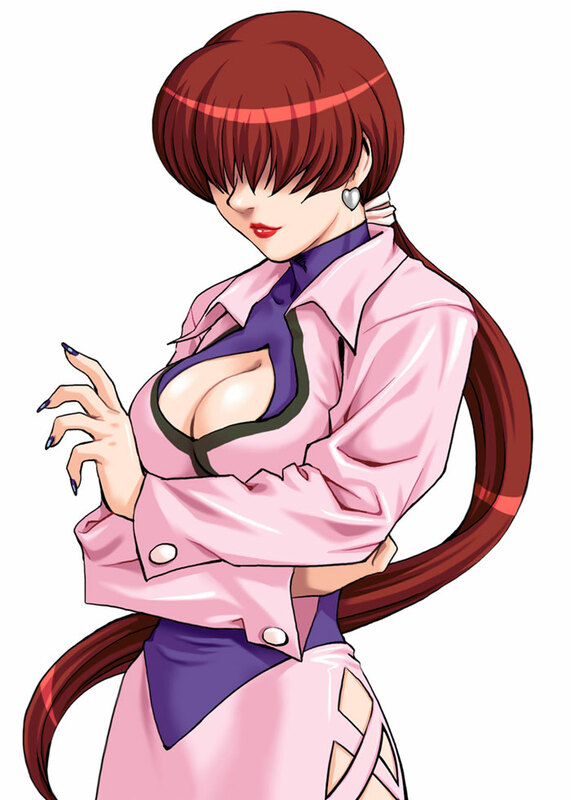 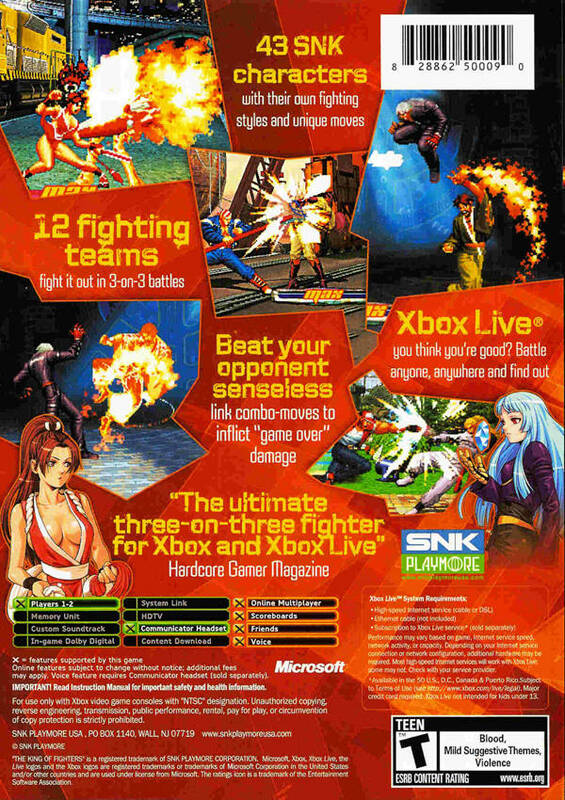 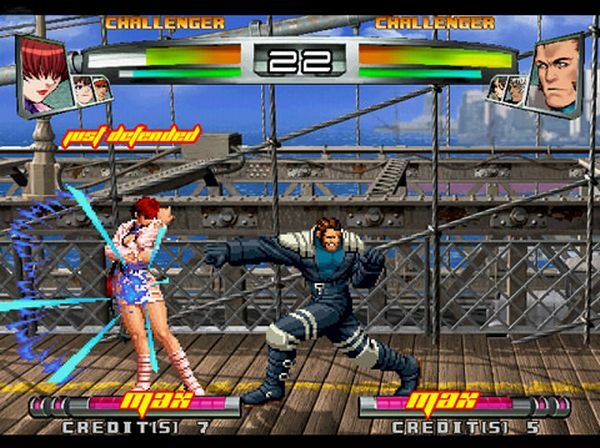 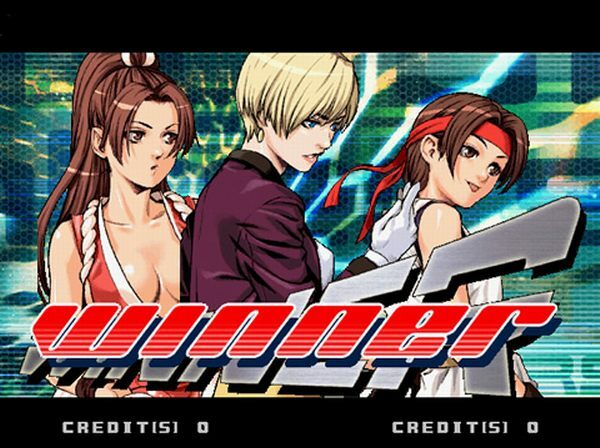 In addition, the PS2 version includes 2 more bonus characters not found in the arcade or Xbox version (Angel & May Lee). 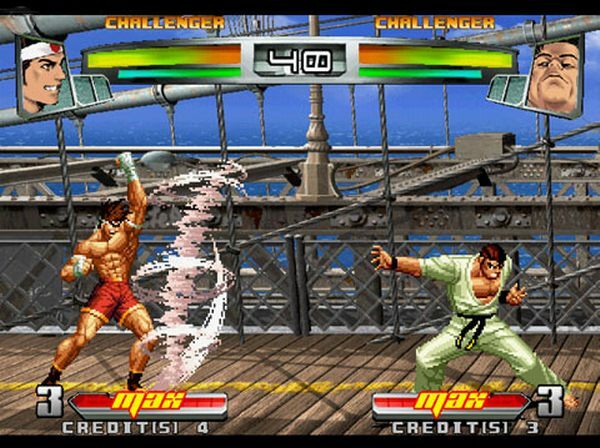 Neowave gives KOF players a chance to use some of the newer KOF characters in the "old style" gameplay, which makes it an interesting title for old school fans of the series. 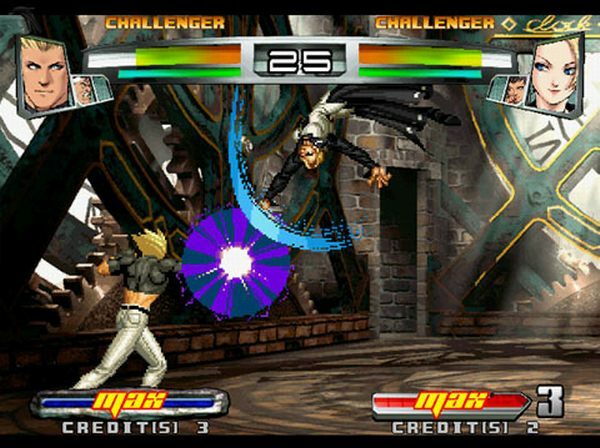 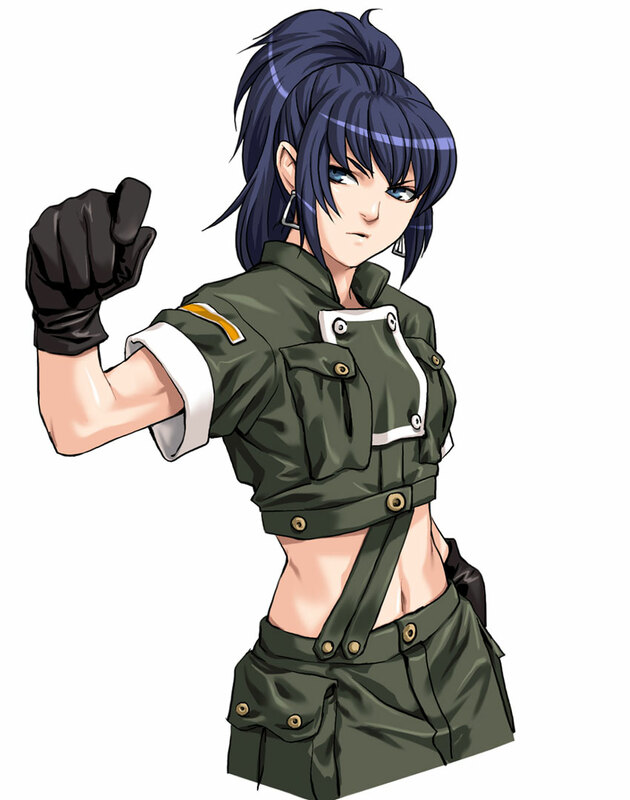 Final Words: KOF Neowave is a 2D fighter that stays close to its roots, but in turn, doesn't offer very much in the way of new. 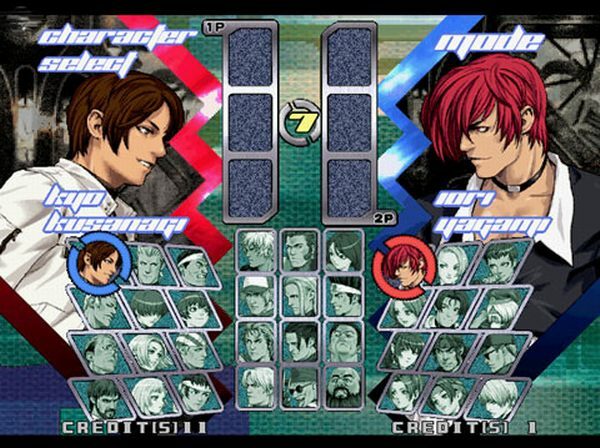 The traditional 1-on-1 gameplay is definitely old fashioned in 2005, especially when considering KOF itself has incorporated tag-team mechanics in past installments (which I personally think are more fun).